Born in Coimbra - Portugal, 1969. Graduated from Oporto's Fine Art's School. In 1992, she started on the animation of Abi Feijó's films ("The Outlaws", "Fado Lusitano" and "Stowaway") and was also co-author of "Vicious Cycle" and "Christmas Stars". In 1999, she directed and animated her first independent film "The Night". In 2005, she directed "Tragic Story with Happy Ending". 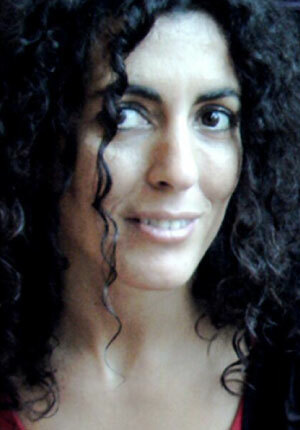 In 2012, she directed "Kali the little Vampire, a co-production Portugal-France-Canada and Switzerland. In all these films she has used different engraving techniques, from plaster to computer or as she likes to say: "from stone to Pixel". Her films have since gone on to win prizes around the world, including Grand Prix SICAF 2006 - South Korea; Grand Prix Annecy' 06 - France; Grand Prix Animated Shorts SXSW 2007(South by Southwest Film Conference and Festival) - USA; Oscars 2007 Shortlist - USA; Hiroshima Prize 2012 - Japan; Annie Awards Nomination in the Best Animated Short Subject Category, 2013 - USA; twice finalist for the Cartoon d'Or (2006 and 2013) - Europe, etc. Christine Panushka is an internationally known award-winning filmmaker/animator and educator. Her films have been screened in Asia, Europe, South America, and North America. They have won numerous awards including the Grand Prize at the Aspen Filmfest and a Golden Gate Award at the San Francisco International Film Festival. Critics have described her work as "completely original and capable of affecting both cerebral and sensual complexities." Panushka's most recent work is an eight minute experimental animated film using a collage of hand-pulled linoleum cuts, found ephemera and digital materials. "Content of Clouds" is a work that visualizes emotions felt, as time changes our unique individual landscapes. Currently, Panushka is a Full Tenured Professor in the John C. Hench Division of Animation and Digital Arts in the School of Cinematic Arts at the University of Southern California. Collaborating with Performance Artist Alberto Arazia, Panushka created "Mosca and the Meaning of Life." A thirty minute animated stage performance that premiered at RedCat on October 26, 2009. 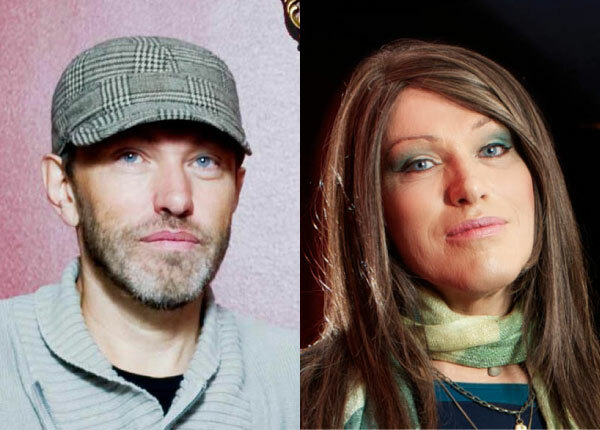 Named an Absolut Visionary in 1996, Panushka conceptualized, directed and curated "Absolut Panushka," the second issue in a series of content based web sites sponsored by Absolut Vodka. "Absolut Panushka" was a ground breaking web site, which supported and promoted experimental animation. The site featured a festival section, highlighting the work of 32 world class animators, including Panushka. Also included was a history section written by Dr. William Moritz and an animation tool, where anyone in the world could produce a piece of animation and have it posted on the site. "Absolut Panushka" has been honored with an "Award of Excellence" from Communication Arts Magazine, 1st prize for Animation on the Internet by both the World Animation Celebration in Los Angeles and the Holland International Animation Film Festival in Utrecht, Holland. Panushka has curated animation programs, juried film festivals and served on the selection committees for the Hiroshima Animation Festival, the Ottawa International Animation Festival and Glas International Animation Festival. Before joining the faculty in the School of Cinematic Arts at the University of Southern California, Panushka was the Associate Director of the Experimental Animation Program at the California Institute of the Arts, where she taught for fourteen years. 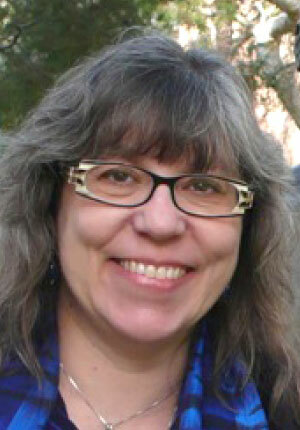 She served as Associate Dean of the School of Film/Video for three years. She also founded the animation program for the California State Summer School for the Arts, a summer program for talented high school students sponsored by the State of California and the animation program for CalArt's Community Arts Partnership at Inner City Arts and the Encino Media Center. These animation programs were unique in that they offered students an in depth experience of animation in all its forms. She received her MFA from the California Institute of the Arts and a BFA from the University of Utah, where she was honored in 2015 with a "Distinguished Alumni Award." Studies at the Dutch Film Academy (1969-1973) for direction & production. Works first as non commercial distributor, but from 1976 mainly as producer (features, documentaries and short animation) and director (documentaries and fiction). He produced his first animated short ("Between the Lights") in 1975. The first feature he produced ("Hyena's sun") was selected for the Quinzaine in Cannes ('77). He (co)produced some 80 films, of which he directed 10 himself. Features were films like: "Innocence" by Paul Cox (2000), "Last Call" ('95) by Franz Weisz, "The Ditvoorst Domaines" by Thom Hoffman ('92), "Gaston's War" by Robbe de Hert ('96), "Missing Link' by Ger Poppelaers ('98), "Jan Cox" by Bert Beyens & Pierre De Clercq ('88), "An Angel in Doel" by Tom Fassaert ('11) and "Practical Pistol Shooting" ('06) directed by himself. He produced some 20 other animated shorts of which 2 won the OSCAR for Best Animated Short: "A Greek Tragedy" by Nicole van Goethem ('86) and "Father and Daughter" by Michael Dudok de Wit (2000). Both films won also Best Film and Public Price in Annecy. Another production: "3 Misses" by Paul Driessen ('99), was nominated for an Academy Award. Recently "Junkyard" by Hisko Hulsing ('12) won the Grand Prix in Ottawa and the Public Award in Stuttgart. He served for years as a consultant for the Dutch Filmfund, the Dutch Arts Council and the Flemish Film Fund. Between 2009 and 2012 he was appointed as the first Animation Consultant for Feature Animation by the Dutch Filmfund. He was a jury member in several festivals, like St. Petersburg, Utrecht, Antwerpen and Zagreb. He is member of the AMPAS© (Oscars), BAFTA and EFA. Lisa Tulin and/or Lasse Persson is a maker of Indie Animated Shorts. Hand drawn animated films in the classical tradition told with few or no words like "Bikini", "Hand in Hand" and "Honey-Bunny". All of them produced by her/his production company SWEDISH ECSTASY FILM. The films have won several prizes on International Film Festivals and have been screened on TV all over the word, for instance on American MTV, French ARTE and British Channel Four. In March 2013 Lisa Tulin was awarded Premio Maguey Award for her path as a Cult Movie Director at Guadalajara International Film Festival in Mexico. Her latest film - "SHOWING IT ALL" - is from 2016 and is a burlesque striptease show. L&L got his/her education in animation at International Summer School Animation, Sheridan College, Oakville, Canada. He has also studied Drama, Theater, Film and Theology at Lund University. During 1993 and 1994 Lasse Persson was working as animator on "Goldtooth" by Derek Lamb and Kaj Pindal. L&L has during more than 2 decades been taking assignments as Animation Director, Animator and Storyboard Artist in Sweden, Denmark and Canada. First and foremost, at Pennfilm Studio in Malmö, Sweden were he has animated and directed in features like: "Little Ghost Laban", "That Boy Emil" and "Little Anna and the Big Uncle". 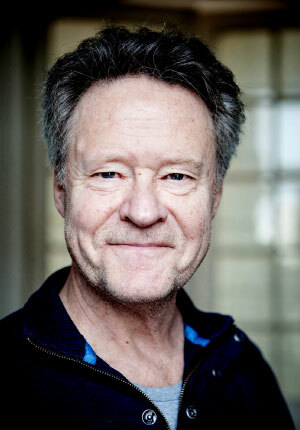 The designer and supervisor on Pennfilm Studio, founded 1967, is Per Åhlin. Moreover, L&L has made comic strips and a children book. L&L is changeable in appearance - sometimes male, sometimes female. 1992: "Honey-Bunny", First Place Animation, TV ONTARIO TELEFEST, 1996: "Hand in Hand", Golden Milkedi, 38TH BILBAO INTERNATIONAL SHORT FILM FESTIVAL, 1998: "And half the Kingdom", 2000: "Aj, aj Buff", 2004: "Bikini", Panorama Short Film Award, BERLINALE 2015., 2013: "Hetero", Best animation 2013, DIVERSITY IN ANIMATION, RIO DE JANERIO, 2016: "SHOWING IT ALL"
PhD. Violeta Tipa is a coordinator researcher, head of Arts Audiovisuals Section of the Institute of Cultural Heritage of the Academy of Sciences of Moldova, Chisinev. Violeta Tipa was born in the north of the Republic of Moldova in 1965. She graduated the journalism faculty from the State University of Moldova. In the 1987-1994 years she worked on programs for Children and youngsters at the Moldovan Television. Since 1991 she begins the career in the art research. Her research interests include a broad spectrum of issues related to the history and theory of visual arts such as TV phenomenon, the history and aesthetics of animation film. Particularly, she is interested in Puppet Theater and the relationship of mutual influence of the two visual arts: theater and film. The research results were exposed in papers presented at over 40 national and international scientific events in Chisinau (Republic of Moldova), Moscow (Russia), Bucharest, Iasi, Constanta (Romania). She is the author of monographs: "Child and TV art" (2004), "Modern screen: challenges and attitudes" (2011), "Exploits of Guguta in cinematographic dimension" (2014) and co-author of the collective history "Art cinema in Republic of Moldova" (2014). She also signed more than 100 studies and articles published in scientific journals, collections of articles, encyclopedias and catalogs from Moldova, Romania, Russia and Italy. She is an associate Professor at the Academy of Music Theatre and Fine Arts, Chisinau where she holds lectures in History and aesthetic of animation, Modern animation phenomenon, Evolution of specific lectures and audiovisual arts, History and Theory of TV. She has led a Moldavian-Russian research project "Audiovisual culture and its role in shaping the young generation" (2009-2010). In 2015 she won Thesaurus Poloniae research scholarship offered by the Ministry of Culture and National Heritage of Poland and the International Cultural Centre in Krakow, Poland. Her efforts were appreciated with the Academy of Sciences Award for valuable scientific achievements of scientists (2014) and The National Award (2015). 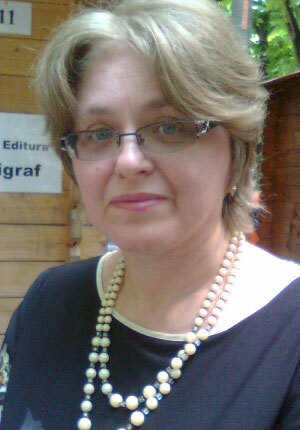 Violeta Tipa is a member of the Filmmakers Union of Moldova and the International Association of Theatre Critics. Born in Iga city, Mie prefecture in 1941. Taku Furukawa started drawing manga in high school and aspired to become an animator while attending Osaka University of Foreign Studies (currently Osaka University). After participating in making TV series "Tetsujin 28-gō" (Iron Man #28) volume 1-3 at Television Corporation of Japan, in 1964, he entered Kuri Jikken Manga Kobo to study short animation in earnest. As he became independent, Furukawa started to release short animations successively. In 1969, "Ushi Atama" (Oxed-Man) was selected for competition for the first time at the 7th Annecy International Animation Festival. In 1970, Furukawa founded Takun Jikken Manga BOX. He won the Special Jury Award at the Annecy International Animation Festival for "Odorokiban" (Phenakistiscope) (1976), the Noburo Ofuji prize at the Mainichi Film Award for "Speed" (1980), the Category Award at Hiroshima International Animation Festival for "TarZAN" (1992) and "Ishin Denshin" (1994), the Excellence Prize in Animation at Japan Media Arts Festival for "Jokyou Monogatari" (1999), and has screened these films both nationally and internationally. In 2002, a retrospective program was shown at the Otawa International Animation Festival. Since 1969, Furukawa has been working periodically on "Minna No Uta" (music program) and news programs for NHK TV. 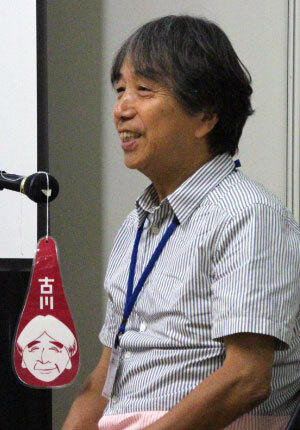 He also won the 25th Bungeishunjū Manga Award for his art book "The Takun Humor" in 1979. In addition to releasing a picture book entitled "Attara Ii No Ni Naa" (1985, Bunka Shuppan), he has been active as a single frame comic artist as well as an illustrator. Furukawa has contributed working for Seibu department store and JT's "Smokin' Clean" campaign. He participated in forming Japan's first university animation department at Tokyo Polytechnic University and had served as the professor and the visiting professor for some 10 successive years until his retirement. Currently a member of administrators for the Japan Media Arts Festival, the honorary chairperson for the New Chitose Airport International Animation Festival, the honorary executive committee chairperson for ICAF (Inter College Animation Festival), and so on. He is still a very active illustrator and animation filmmaker, making commercials for various companies such as Ryukakusan and Keio Corporation's Docchimo campaign, etc. Currently, he is independently exhibiting the micro-short series including the satire animation, on the internet super-short animation "Sakurai Jun + Furukawa Taku No Hitokoto Gekijou". He released his new independent manga "Little T's Bouken" (from the 1990's magazine series "Ookina Poketto" from Fukuinkan Shoten Publishers) in September 2015. Furukawa received the Medal with a Purple Ribbon in 2004, and also awarded for Order of the Rising Sun in 2012. Chairperson of the Japanese Animation Association. Member of ASIFA-Japan.